Help us connect Cheadle Lake to Riverview Park with your statement of support! We’re applying for another exciting trail improvement project, and we need your support! 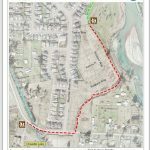 This grant will help us construct 450 feet of trail that will connect two existing trail sections. When completed, there will be a continuous trail from Weirich Drive at Cheadle Lake Park all the way north to Riverview Park. Future trails will extend this trail project to the north city limits. We’re requesting funding from the Recreational Trails Grant Program (RTGP), administered by Oregon State Parks and Recreation (OPRD). The grant can provide up to 80% of the cost of the project. This is a wonderful opportunity to leverage the funds you have helped BLT raise by using 20% of local funds to bring in 80% of the cost of the project from outside funding sources. Build Lebanon Trails and The City of Lebanon want to show the Oregon State Parks and Recreation Department (OPRD) that the community supports the project and our trails in general, and to show OPRD that Lebanon is committed to the continued development of public trails in our community. Your letter or statement will be included with the grant application that will be submitted to OPRD on or before June 15, 2018.
Letters or statements of support can be short or long, formal or informal, and you can download a sample letter by clicking the icon on the right, but feel free to write your own short or long statement about what the trails built by Build Lebanon Trails and The City of Lebanon mean to you. If you don’t have time for a letter, just email Rod a short note with your name and contact info stating your support of the project and a sentence or two stating why you support the development of Lebanon’s trail system. Or send them by postal mail to? Thank you for everything you continue to do to help Lebanon have the best trail system in Oregon.